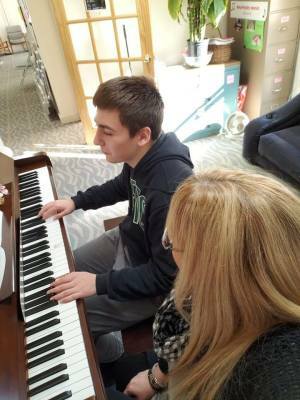 Music Lessons are beneficial for everyone, no matter their age or natural ability. Every person has a right to make music and enjoy themselves while doing so. For the shy, it draws them out. For the unsure, it helps their confidence. For the less coordinated, it improves fine motor control. For the easily distracted, it helps improve concentration. For the easily frustrated, it improves patience. For the forgetful, it improves memory. For the stressed, it promotes relaxation.